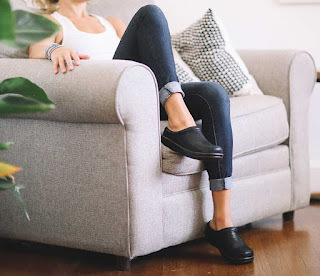 If you’re a nurse, doctor, teacher, hair stylist or anyone else who spends the majority of your work day on your feet, you know it can take a toll on your comfort levels and your health, especially if you’re fashion-conscious. But expressing yourself doesn’t have to mean no support and aching feet at the end of the day. 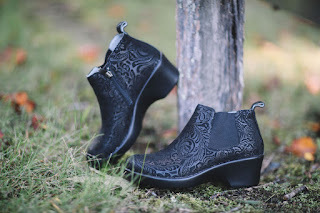 You can have the best of both worlds with Alegria Shoes. 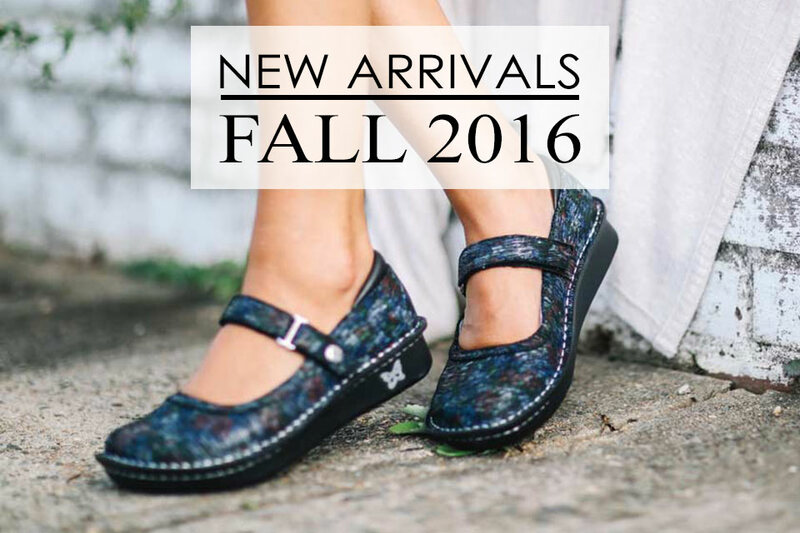 Take a look at our Fall 2016 New Shoe Collection for a great selection of colors, styles and comfort for nursing and busy professionals. Providing a curved sole that gently rocks your foot and reduces the pressure on your feet and legs. Including replaceable insoles that conform to the natural contours of your foot. Promoting perfect posture and superior arch support with their unique shape. Alegria Shoes come in a variety of sporty, fun and sophisticated styles to fit your mood as well as provide comfort. And they all clean up easily with a damp cloth, so you don’t have to worry about any of life’s little (or big) messes ruining your shoes. Many nurses don’t have a lot of choices when it comes to fashion -- unless you’re one of the lucky ones who get to choose your own scrubs. For the rest of you, standard issue, bland colors are probably the norm. But no matter what type of scrubs you have to deal with, your shoes express your own personal style. And you don’t have to sacrifice comfort for appearance when you choose Alegria Shoes for nurses and professionals. 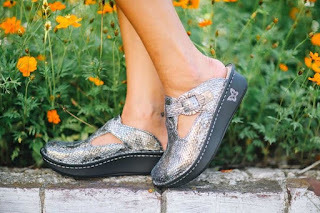 If you’re looking for mule-style nurse shoes, the Alegria 2016 Fall line offers the stunning Kayla PRO in blue Icey, Licorice Soft Serve and Monarch with pops of colorful butterflies. The partial heel cap keeps the mule from slipping off your foot while you’re making your rounds. Whether you’re chasing a room full of kindergartners or keeping up with the racing hormones of high-schoolers, you want to look good and protect your feet from fatigue. 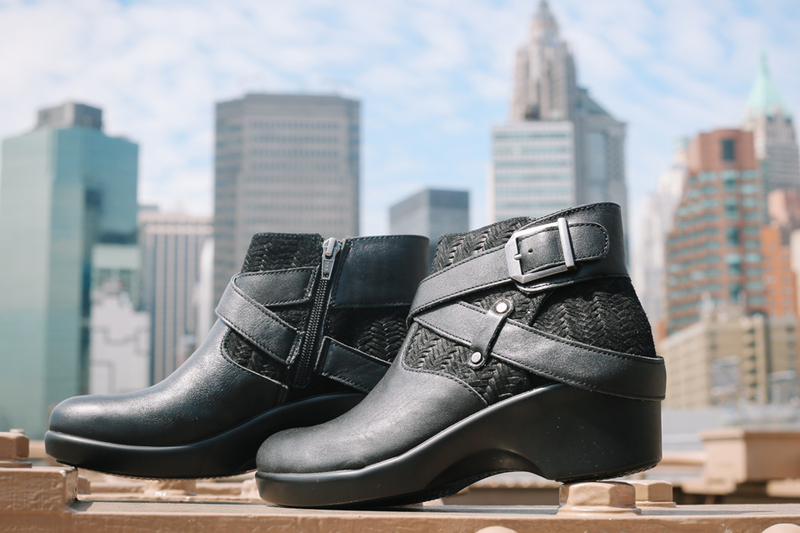 The Alegria Fall line will keep your feet comfy and give you the fashionable look you want. Mary Janes and Clogs are both classic fall looks, and Alegria has the colors and textures to compliment your fall wardrobe. Accent stitching adds extra flair on the Belle Raked Garden and Classic Posh Pewter styles. Want something sporty for all those fall games? Alegria Essence comes in delicate black-and-white rose, navy winter garden and a beautiful Monarch butterfly print. When you’re a stylist, you may want the attention on your hair, but if your feet hurt, you won’t look your best. 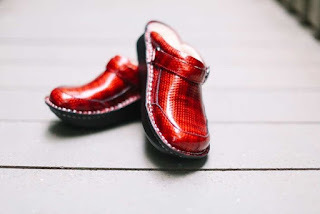 Give your feet the new do they want this fall by pairing your smock with a red plaid texture of the Seville Cherry Cube or silver Chrome Cube. Sapphire and Garnet Snake textures of the Keli PRO will also keep you feeling sophisticated and smooth. And for sassy sparkles, try the Alegria Paloma in Jazzy Wine, Black or Blue. 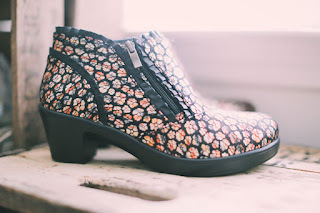 The only question you’ll be asking now is where to buy these wonderful shoes. Visit us at alegriashoeshop.com to browse all of these and more of the newest fashion statements for Fall 2016.